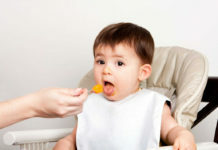 —Guard your baby’s health with these 8 practical, nontoxic baby dishes and utensils. Dishes, cans, and utensils—though they are used to nourish our babies and children, they can actually be full of toxic ingredients. Many are coated with BPA (bisphenol-A), a chemical that is a suspected carcinogen (it can pose other health problems, too). Some are made from PVC (polyvinyl chloride), which in addition to being non-recyclable, results in the production of carcinogenic dioxins when manufactured and incinerated. 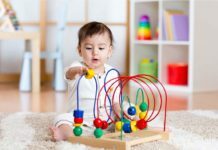 Melamine is another common baby dish material—a hard plastic that is made using formaldehyde (another carcinogen that’s also linked to allergies and asthma). So let’s find some healthier alternatives, shall we? Think Baby has made these stainless steel feeding dishes, which include a bento box, small bowl with lid, soup/cereal bowl with lid, cup, spoon and fork utensils. Since stainless steel is non-reactive, these baby dishes pose no health risks, and of course is free of BPA, PVC, and phthalates. Each has chunky handles and can be used for safe storage of leftovers, too. The boon Snack Ball baby dish is a fun, sphere-shaped container that can be used to cart your child’s favorite cereals and snacks. 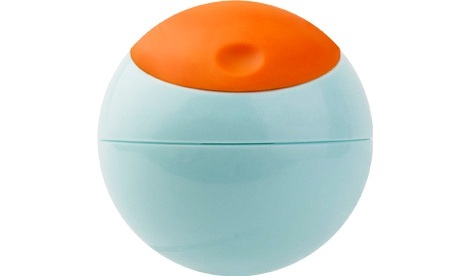 It is BPA-free, phthalate-free, and PVC-free, and can be screwed apart for easy cleaning. Great for travel! 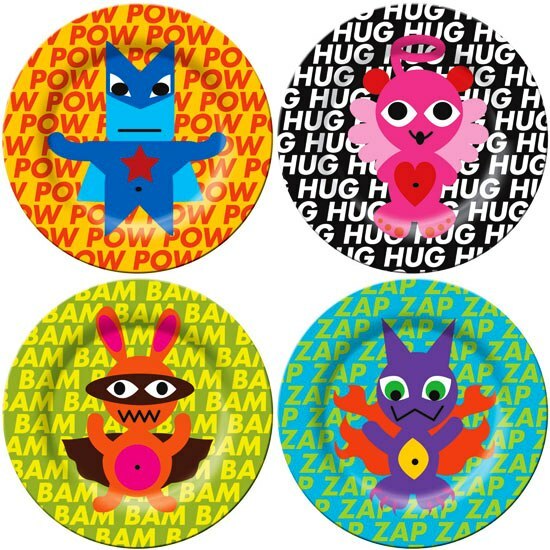 Add some fun to mealtime with these Super Hero plates. 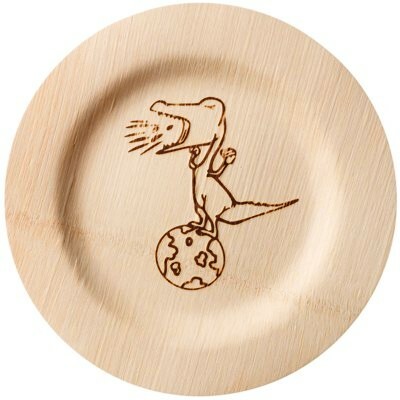 Made without the use of phthalates or BPA, these baby dishes come with youthful, brightly-colored prints. They’re shatter-proof and dishwasher safe. Choose from plates and cups. 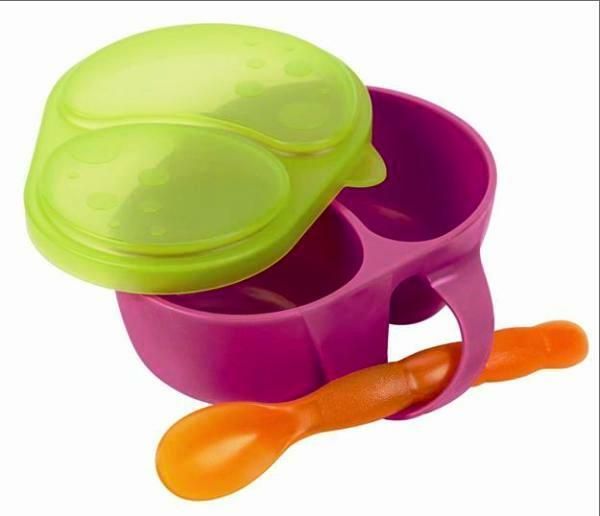 Spoon your healthy baby food into your baby’s mouth with one of these Nuby Hot Safe Feeding Spoons. 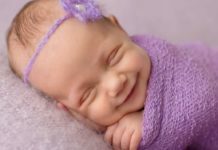 With a nice soft bite, these baby spoons won’t hurt your little one’s gums or new teeth, and of course are made without PVC, BPA, or phthalates. 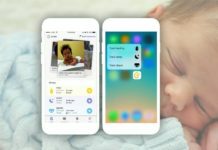 Plus, when too hot, the spoon changes color so that you know when to wait for the food to cool off before feeding it to your child. Sets come in threes. 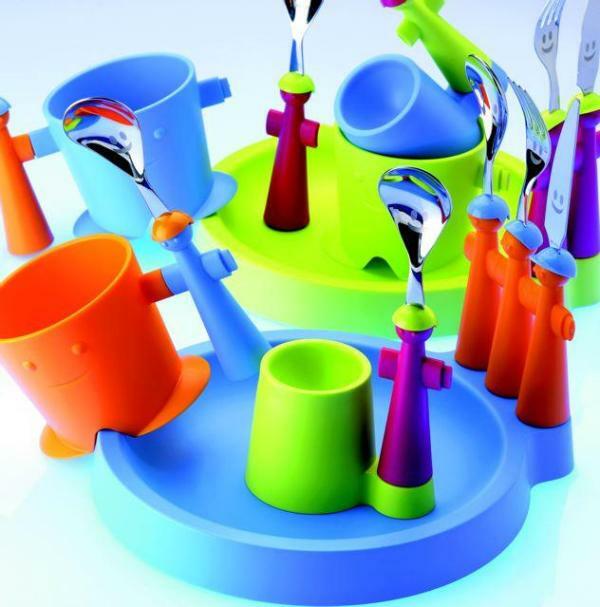 Made from nontoxic plastic, these Sassy feeding baby dishes and utensils are easy to grip and come in bright, fun colors. They’re conveniently made with lids for easy storage and come in interesting designs, too. Plus, their spoons are made to change color when the food is too hot. Choose from bowls, spoons, plates, and forks. 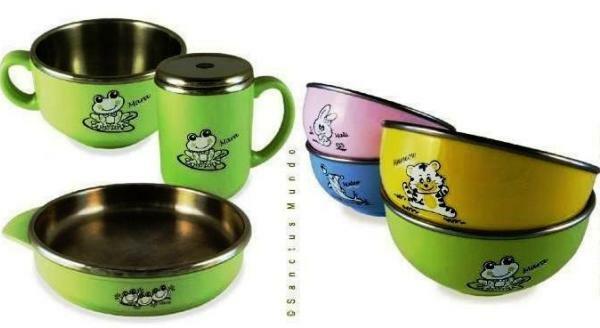 Another stainless steel option, these Sanctus Mundo Green Frog baby dishes are cheery and practical. 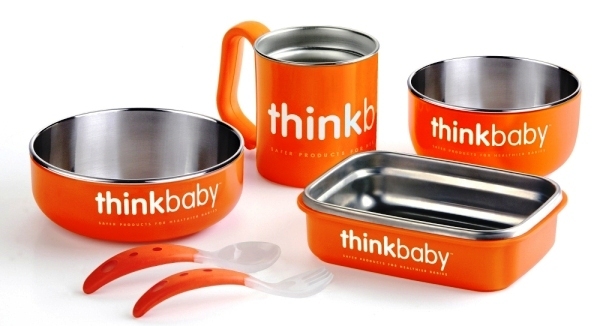 They’re made from 304 stainless steel, which is an ideal nontoxic surface for serving baby food. The set includes a mug that has a lid with a straw hole, as well as a soup bowl and a deep plate. 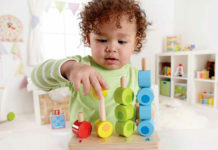 Made in Italy, these Trebimbi Club sets are playful and functional. 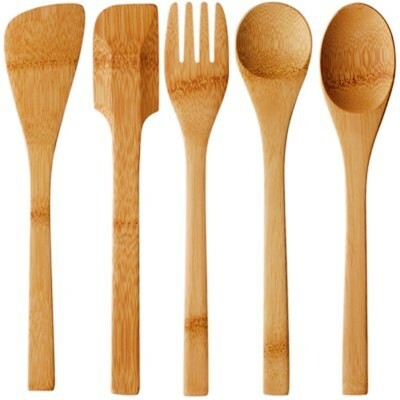 The set comes with a knife, fork, spoon, egg cup, bowl, and mug, all of which are made with eco-friendly and nontoxic polypropylene plastic combined with stainless steel. They’re great for a child learning to feed himself or herself. Add a natural feel to feeding time with Bambu’s dishes. Made from organically-grown, sustainable bamboo stocks, these baby dishes are both beautiful and practical. And if and when you’re done with them, they are compostable too, so they won’t add to our landfill problems. Choose from bowls, plates, and utensils of all shapes and sizes.